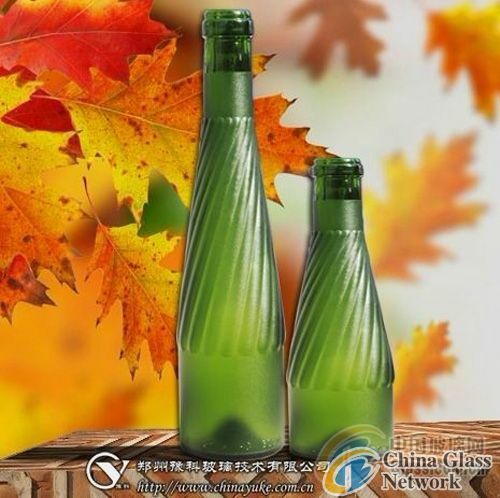 (China Glass Network) Nowadays blameless whiteness has become featured performance of frosted glass, oil-sand fingerprint frosted effect is no doubt the best choice which brings a new definition to frosted glass. Oil-sand fingerprint frosted effect is made by YK-IX glass frosting powder with one-step forming, which improves the production efficiency while save cost of frosting. The whole body Finished frosting products is glittering like the diamond in the light. The format wall, sliding door and partition wall are made of frosted glass, the spotless and flawless appearance can fully show the outstanding taste of the host. 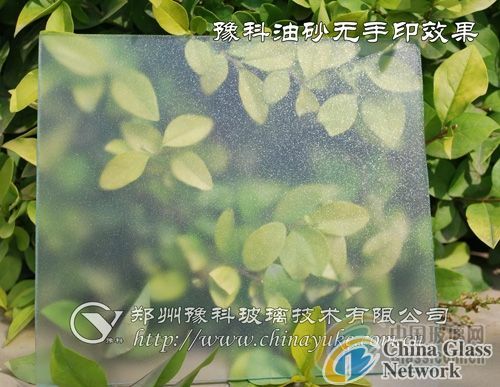 Oil-sand fingerprint frosted effect is not popular in float glass progressing industry, it also plays an important role in progressing of glass tableware and art glass. Frosting particle is a little bigger than that of jade effect and frosted cup with oil-sand fingerprint frosted effect feels smooth without fingerprint after touching. 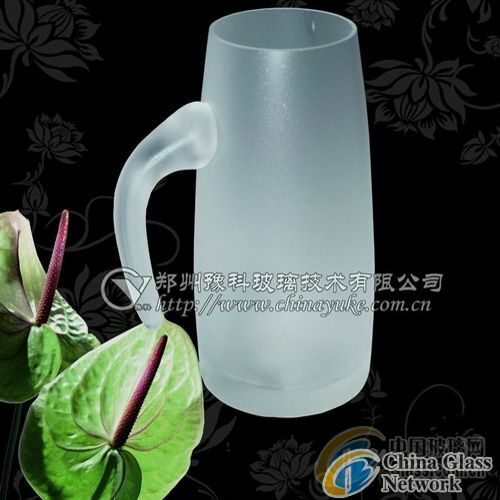 The elegant cup is a really good choice for both household and collection. Frosted packaging of wine bottle is also a new change. The transparent oil sand makes the bottle mellow and the gloss of the oil coated the bottle with mystery. The exquisite chic shape of the bottle and the oil-sand fingerprint frosted effect makes the package luxuriant and noble, which increases the value of the wine virtually.